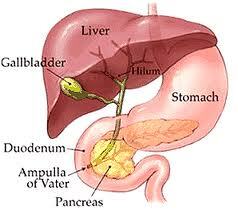 What is the gallbladder and what kind of problems does it cause? The gallbladder is a small balloon like organ that usually measures about 3" x 2" x 1" nestled under the liver in the midline or in the right upper quadrant of the abdomen. It stores a small portion of the bile, a digestive juice secreted by the liver, as most of the bile flows down from the liver through the bile duct and into the intestine where the digestive process begins for the food we have eaten. While a gallbladder is not necessary for survival and is not necessary to live a long healthy and normal life, it is theorized that the gallbladder provides an extra, small reservoir of the digestive juice, perhaps for times when a long period of time lapses between meals. The gallbladder can become diseased and cause problems in a few ways. The most common is when crystals, sludge, and then stones form within the gallbladder itself. This can block the flow of bile out of the gallbladder and cause serious pain or infection of the gallbladder, and progress to gangrene of the gallbladder or even perforation. In other cases the crystals, sludge, debris, or stones that have formed pass down into the bile duct where they can obstruct the flow of bile from the liver, or irritate and inflame the pancreas. These conditions known as cholangitis, and pancreatitis, respectively, can be even more serious, even life-threatening. Another condition is called biliary dyskinesia, in which the gallbladder does not contract properly, and pain and nausea occur. The most common symptoms of gallbladder problems are abdominal discomfort or pain after eating. The pain or discomfort is most commonly in the upper abdomen in the midline or in the right upper quadrant near the right rib cage. Who is likely to get gallbladder problems? Gallbladder problems are common in the population among both men and women, from teenagers to the elderly. They are especially common among middle-aged people; women are even more likely to have gallbladder problems, as are people who have had rapid weight loss or weight fluctuations. What is the best treatment for gallbladder problems? Today, the best treatment for gallbladder problems is minimally invasive, or laparoscopic removal of the gallbladder, called laparoscopic cholecystectomy. The most helpful test for the gallbladder is an abdominal ultrasound scan. This scan is painless and involves passing a an ultrasound detector across the abdominal wall. Gallstones can usually be detected with ultrasound, though sometimes they can be invisible to this technology. The ultrasound can also give some basic information about the health of the liver, as well as some information about whether the common bile duct is blocked or obstructed. Additional important testing involves blood samples to analyze the liver function tests, and other blood testing such as the white blood count. These tests can help provide information about the state of health of the gallbladder, and whether there is inflammation or infection present as well as whether or not there is an obstruction of the bile duct. An additional type of test is called an MRCP (magnetic resonance cholangiopancreatography) – this is a type of MRI scan that is helpful in providing additional imaging in a few cases, especially when there is a suspected blockage or obstruction of the common bile duct. This test is not always necessary. Another test which may be helpful is a HIDA, or hepatobiliary, scan. In this test, a tracer is ingested and then it’s progress can be seen accumulating in the liver, passing into the gallbladder, and then down the bile ducts into the duodenum. This test is sometimes useful when diagnostic questions still remain after an ultrasound. It is also particularly helpful in diagnosing biliary dyskinesia, or other forms of gallbladder disease that do not involve stones. Lastly is a procedure or test known as ERCP. This stands for endoscopic retrograde cholangiopancreatography. This involves passing a flexible endoscope down the mouth and esophagus to investigate the point at which the bile duct enters the intestine. Images can be obtained and stones can be removed from the bile duct. 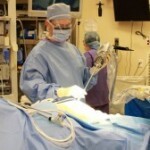 In most cases the gallbladder procedure can be scheduled and it is often not urgent. However, in some cases symptoms can escalate, so if you are experiencing an increase in pain, or the onset of fevers or jaundice, this could indicate the need to move forward with surgery sooner. As with most surgery, it is usually best to discontinue blood thinning medications such as Coumadin, Warfarin, Plavix, and others. These, and all medications that you might be taking, need to be discussed with your surgeon preoperatively. In over 90% of cases, the procedure is performed on an outpatient basis, meaning that after the procedure, a few hours is spent in the facility or hospital prior to going home. Transportation will need to be arranged because after undergoing surgery and anesthesia, it is not permissible to drive a motor vehicle. There may be some additional routine preoperative studies such as a chest x-ray, blood tests, and an electrocardiogram depending on your age and health status. During the laparoscopic cholecystectomy procedure, a series of small keyhole type incisions are made on the abdominal wall and a series of thin instruments are placed into the abdominal cavity. A high-definition digital camera and light source are introduced, giving good visibility of the gallbladder and other internal organs. 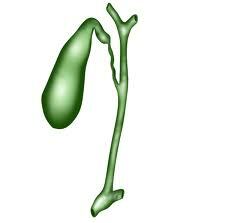 The gallbladder is grasped and elevated, and the cystic duct and artery are isolated. Clips are placed on these structures before they are divided with a type of scissors. The gallbladder is then separated from its other attachments, especially from the liver, and it is retrieved, often in a small plastic bag. The small incisions are then closed with absorbable sutures, and Band-Aids are placed. Usually this procedure requires around 30 minutes to perform, although in some cases it may take less or more time. Complications are rare, but can include: bleeding, infection, leakage of bile fluids, or injury to the bile duct, which could require further surgical repair. After surgery most people can soon resume a normal diet, although it is best to transition from clear liquids to regular food over the course of two or three days, in most cases, to avoid upset stomach. A small percentage of people may experience diarrhea after removal of the gallbladder. 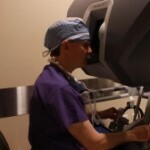 Dr. Sasse has performed several thousand gallbladder removal procedures with minimally invasive techniques. How do I know if I may have a gallbladder problem? It starts with symptoms. If you are experiencing abdominal pain or nausea, especially after eating, this can be a gallbladder problem. If you are experiencing chest, right flank, or back pain, jaundice or vomiting, these also may be symptoms of a gallbladder problem. Testing is required, usually beginning with blood tests and an abdominal ultrasound. Can the gallbladder be removed safely without a large incision? 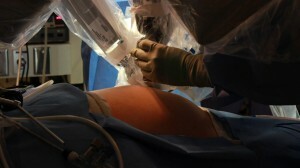 Almost always, the gallbladder can be removed with a laparoscopic or minimally invasive technique as an outpatient. 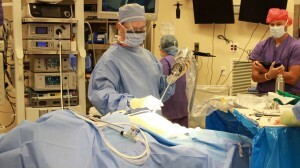 Surgeons such as Dr. Sasse, who are highly skilled in advanced laparoscopic and minimally invasive technique, rarely would have to utilize an open incision. Can I live without my gallbladder? Yes. People without a gallbladder live a normal full life expectancy with very rare examples of change in quality of life or diet. Usually the average laparoscopic cholecystectomy takes about 30 minutes for Dr. Sasse and comparable surgeons with advanced laparoscopic training and experience. The vast majority of people go home the very same day to recover, and return to routine work and activities within 5 to 10 days. There may be some mild, residual soreness and fatigue which takes longer to fully and completely resolve for some people. What if I think I have gallbladder symptoms, but all the tests are negative? In most cases there is more testing to be done in that situation. Often times a person experiencing characteristic abdominal pain and nausea may have a negative ultrasound and blood work, but will have a positive HIDA scan. Undergoing expert evaluation and testing can often make the diagnosis. 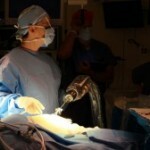 Dr. Sasse introduced the Virtually Scarless single-site gallbladder procedure to northern Nevada. In this procedure, Dr. Sasse uses the daVinci robotic system and a single, small incision hidden in the belly button to remove the gallbladder. The results are successful relief from gallbladder symptoms and virtually no scars. First, a small incision is made by Dr. Sasse at the umbilicus (belly button), and a camera is introduced for a preliminary examination of the abdomen and the gallbladder. 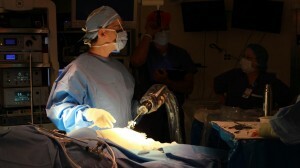 Next, Dr. Sasse examines the gallbladder and prepares to connect the daVinci Single Site system. 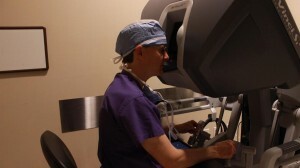 Dr. Sasse carefully docks, or connects, the daVinci system, utilizing only the single port for the instruments he will need. Dr. Sasse controls every aspect of the movement of the instruments by working at the daVinci instrument console. In reality, the system is not a “robot” at all, but a sophisticated surgical instrument. 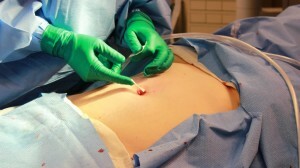 After the gallbladder is removed, Dr. Sasse places a single Bandaid on the single small incision at the belly button. “Virtually scarless”!